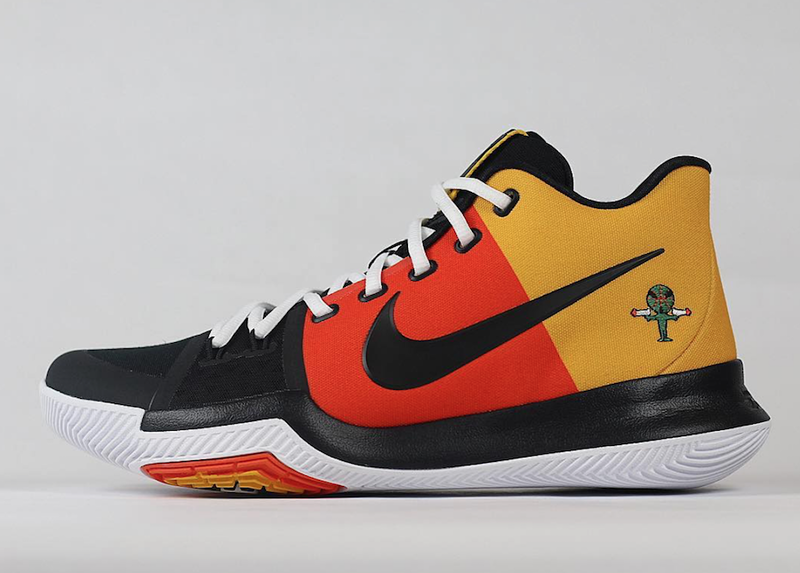 Nike Kyrie 3 "Ray Gun"
Revisiting the classic 2005 Nike SB Dunk “Raygun” comes a Nike Kyrie Irving PE featuring the classic SB’s motif. 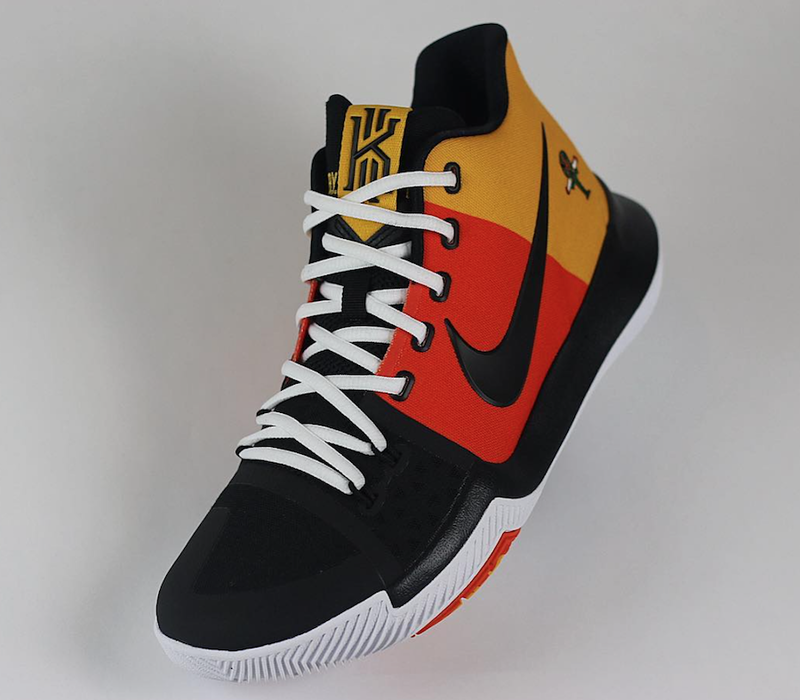 The Kyrie 3 features a black, orange and yellow colorway alongside the Raygun man on the heel. 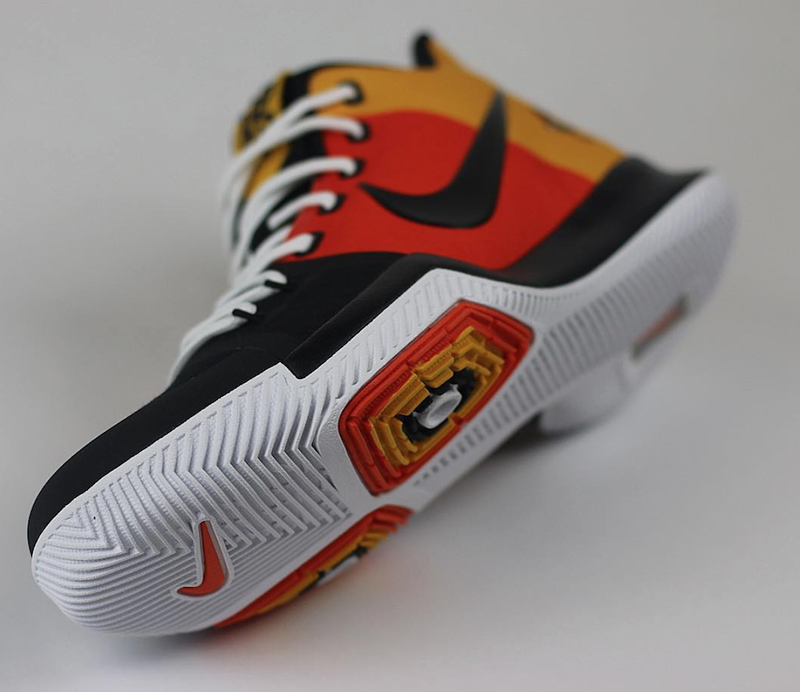 The outer pod also sports a hit of the Raygun theme with the rest of the outsole sporting white. Let us know if you’d like to see more classic Nike colorways on PE’s.